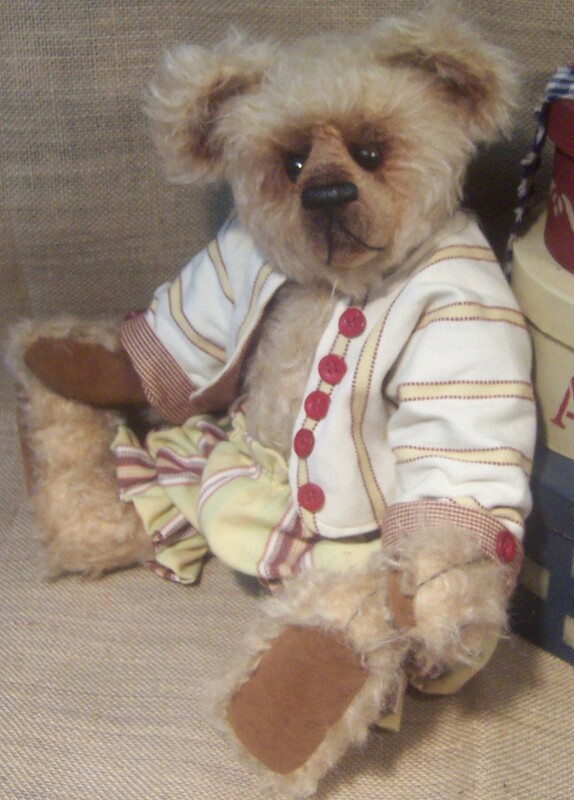 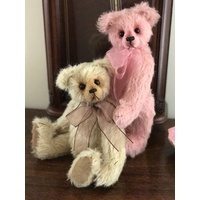 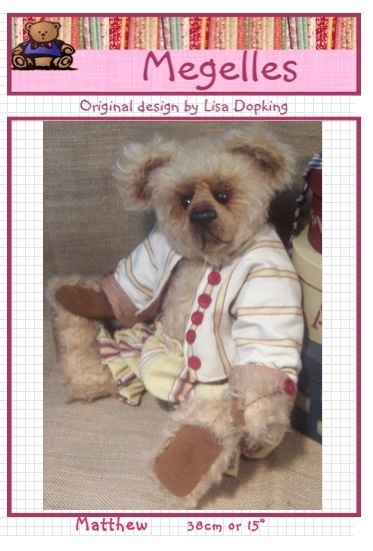 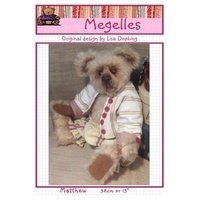 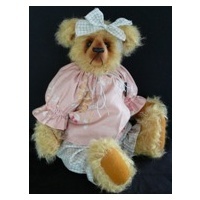 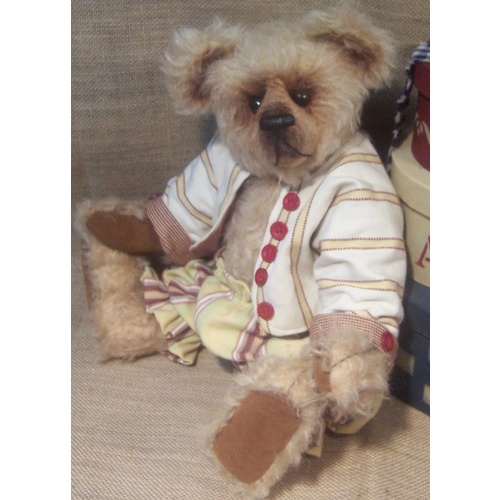 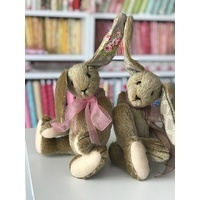 The sample is made from German Felted mohair and he is a fully jointed traditional bear. 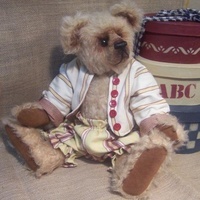 His jacket and pants pattern is also included but not the materials to make them. 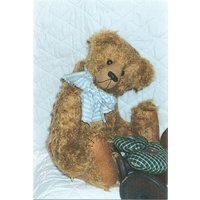 The kit is for the bear only and does not include stuffing.